Why do I see the "See Full Item Description" Button? If you have any non secure HTTP (rather than HTTPS) links or image urls in your template, you will see the "See Full Item Description" button in your listing in place of your item description. eBay believes that shoppers who will see a “not secured” message are less likely to complete a purchase on the marketplace, and as a result, eBay “hides” listing descriptions for sellers with HTTP content in their descriptions behind a “See full item description” button. Where can I find these links? These links can be found in images (the image URLs) or links leading to other pages. How do I remove these links? If it's a link to another website, make sure your link is available in HTTPS. If your link is available in HTTPS then make sure to edit the link in your template accordingly. Click here to see how to edit the link. If it is an image stored on an http address, make sure you edit the image and change the link to HTTPS. b. Click on "EDIT IMAGE"
Note: If the image is available under an HTTPS link then simply follow the instructions above. 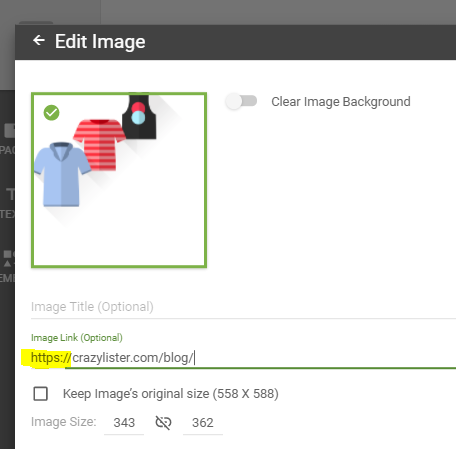 If the image is not available under an HTTPS link, simply remove the image from your template. Once all of your links are compliant, the "See Full Item Description" will no longer show and your buyers will no longer have to click that button to see your description. Click here to learn about how to make sure your templates are compliant. If you want to learn more about eBay's 2017 Links Policy update, click here. tags: http, https, not compliant, not secured, non compliant links, see full item description, extra click, no description, no template, updating the content, ebay links policy, active content.